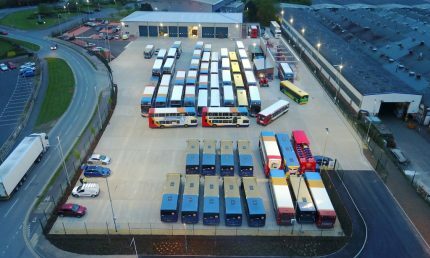 Stagecoach Midlands has moved to a brand new multi-million pound bus depot in Trident Park, Warwick. The new £5million facility was built by Deeley Construction, as a result of partnership working between Warwickshire District Council, AC Lloyd, Waterloo Housing and Stagecoach Midlands. The new site will accommodate 88 buses, 140 drivers & 30 engineering/admin staff. Over 3 million miles will be covered annually by buses operating from the depot. Services from the depot cover cities, towns and villages as widespread as Evesham, Redditch, Banbury, Chipping Norton, Southam, and Coventry. The state-of-the-art engineering department is kitted out with 6 pits – each featuring emission testing and lubricant hoses, hywemas to raise buses for maintenance and a brake testing area. The new depot has numerous environmental credentials with a bus wash that harvests’ rain water, electric vehicle charging bays for employee cars, intelligent heating, energy efficient internal and external lighting and sustainable materials throughout. 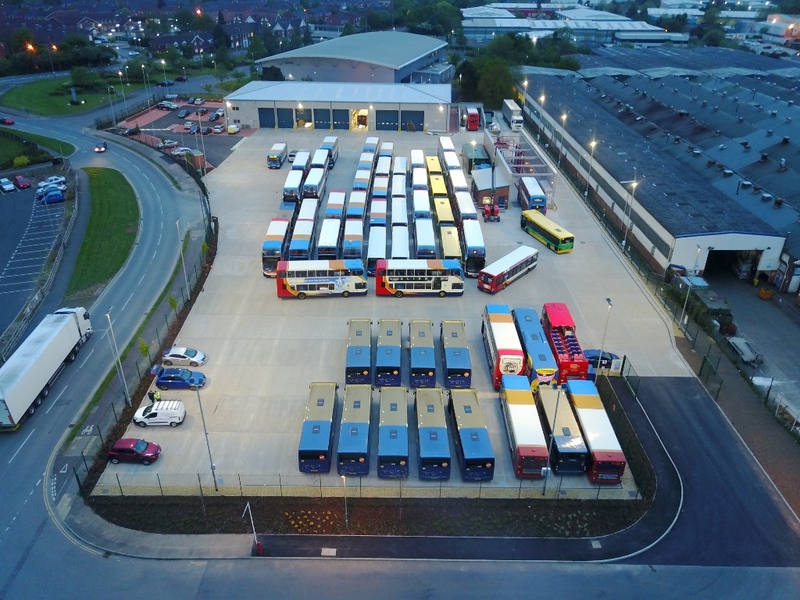 Stagecoach Midlands Managing Director, Steve Burd said: “We are delighted to announce the opening of the our new Leamington depot, which will provide bus services in Leamington, Warwick and the surrounding areas for many years to come. The new facility has been built to high environmental standards and provides much improved engineering facilities. A new scheme of student residences in Leamington has been given top marks – as it reached its highest point. 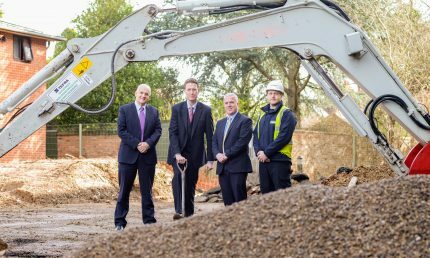 Coventry-based Deeley Construction is building 100 new residential units on behalf of WCG at its Royal Leamington Spa College campus in Warwick New Road. 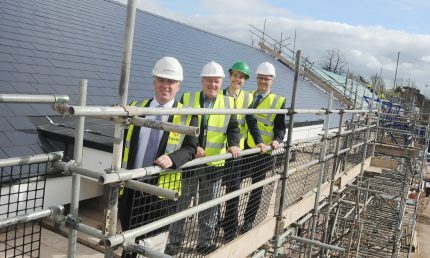 A topping out ceremony was held at the scheme to mark the development reaching its highest point, with work due for completion later this year. The new £4.5 million development came about when WCG was in discussion with Deeley Properties, the development division of the Deeley Group, on its need for more student residences. 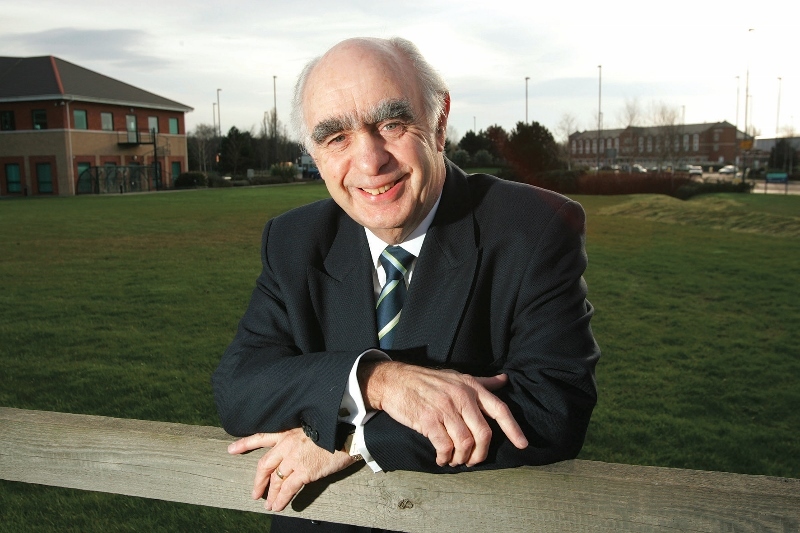 The company came up with an innovative way of funding the scheme by inviting a pension fund to invest in the development, allowing Deeley Properties to take care of the design, build, finance and land package. Many of the professionals from businesses and organisations that have been involved in the project so far went along to the see how it is progressing. Martin Gallagher, managing director of Deeley Construction, said: “Work is progressing well and it was great to be able to share that with so many partners who have been involved and everyone was very impressed with the new build. “The way this development has evolved shows how we, as a Group, can offer much more than construction alone. By working with WCG, we have helped to secure funding and then drew up a scheme that fitted its needs the best. WCG Director of Estates John Vickery said: “It has been great to see the building taking shape and we’re very pleased with the progress so far, so a big thank you to all the partners involved. 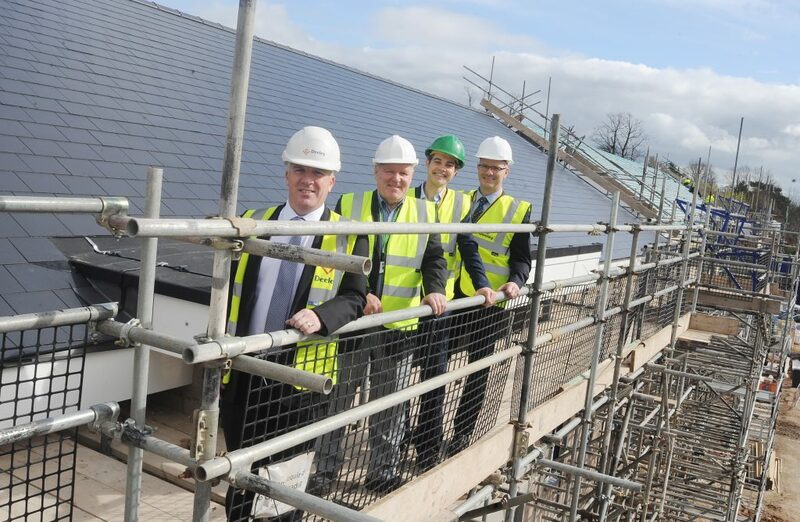 Pictured (left to right): Martin Gallagher (Managing Director, Deeley Construction), Stephen Wood (Chair, Board of Governors, WCG), John Vickery (Head of Estates, WCG), Peter Husband (Group Deputy Principal, WCG). 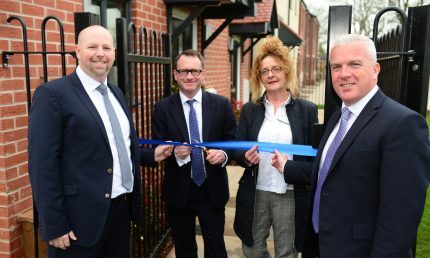 A new affordable family housing development in Leamington Spa has opened its doors to budding home owners. 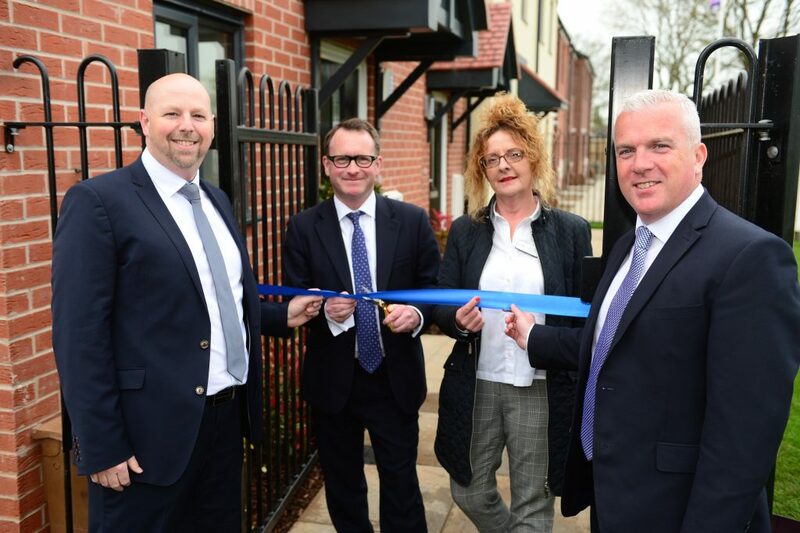 Chris White, MP for Warwick and Leamington, marked the official opening of new homes with developer Orbit and Coventry-based Deeley Construction at Union Park – a £29m development of 147 affordable family homes on the former Soans’ motor dealership site in Sydenham. Offering canal-side living, more than 300 people have already registered their interest. Once complete, the development will offer a range of new housing options for local people, including 55 homes for sale, 39 for shared ownership (part buy, part rent) and 53 for affordable rent. Finalising the build of three more homes at Union Park marks a significant milestone for Orbit, one of the UK’s largest developing housing associations, having now delivered 6,000 new homes since April 2013. Celebrating 50 years as an organisation, Orbit recently reported record growth having developed 1,788 new homes across its operating areas in the last financial year. Starting from £92,000 for a 40% share, a new home at Union Park provides an affordable route onto the housing ladder for many first-time buyers in Leamington. Located at Sydenham Drive, the development offers a selection of two and three bedroom houses and one and two bedroom apartments. Union Park is due for completion in spring 2018. To find out more or to register your interest in one of these new homes, please visit http://www.orbithomes.org.uk/developments/union-park/. 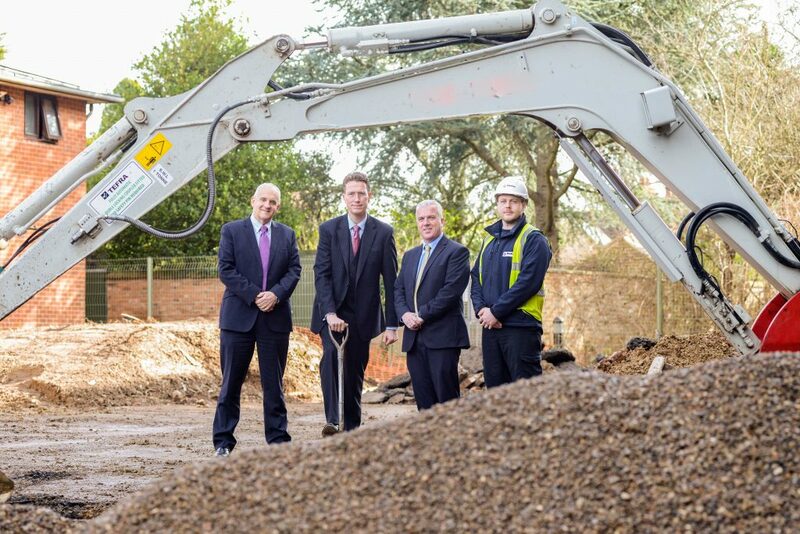 Work is underway on a major new building at a school in Stratford-upon-Avon. Deeley Construction, part of the Coventry-based Deeley Group, is creating a new £1.5 million three-storey building at King Edward VI School that will include new classrooms, a library, a sixth form study and IT suites. The company is also converting two classrooms in the main building into laboratories and the project will see the new facilities opened in the autumn of 2017. Martin Gallagher, managing director of Deeley Construction, said it was testament to his team that the company had won the competitive tender. He said: “We are delighted to have been chosen to deliver what is a major investment for King Edward VI School. “While the building work is taking place to the rear of the main school building, we have still had to make provisions for the fact that there are pupils and staff in close proximity each day. “We work regularly in educational environments, so we know only too well what needs to be put into place. “This follows on from work we are already undertaking at Fordham House in Stratford and underlines our growing presence in the town, which we hope to build on. Bennet Carr, Headmaster, King Edward VI School, said: “This is a vital development in the evolution of the School. Peter Deeley has become one of the first recipients of a Coventry City of Culture 2021 Gold Badge to highlight his work in promoting the City of Culture bid. Michael Mogan, Fundraising Director for Coventry’s bid, said the idea has created some competition between its existing supporters. 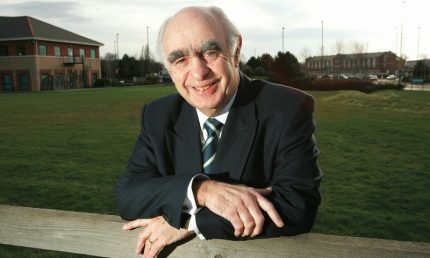 > Peter Deeley played a leading role in starting the ball rolling, by hosting a great event in his offices and inviting business contacts, many of whom got on board. How do you get your hands on one? 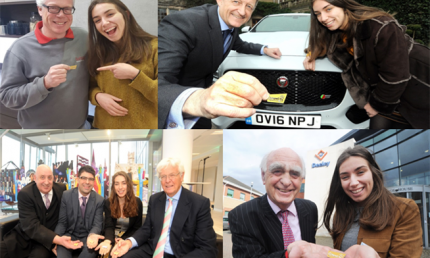 Introduce two or more supporters to back the bid and you will be awarded with a gold badge. 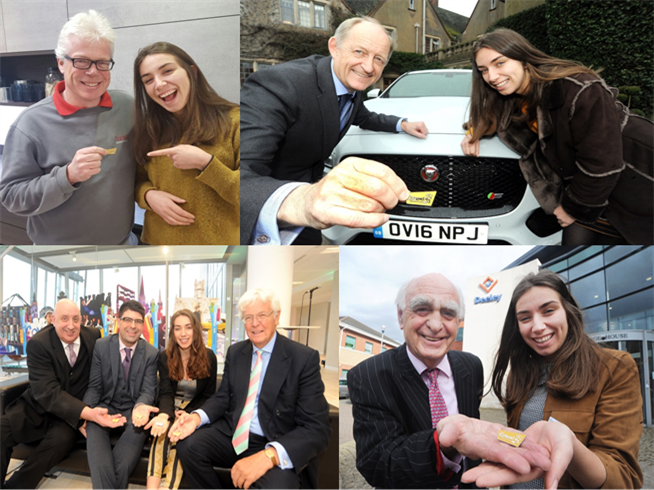 If you have someone in mind to support Coventry’s bid to be UK City of Culture, please contact Nicole.malatesta@coventry2021.co.uk and win your chance to be featured in the next fundraising newsletter with your gold badge. If you have already introduced backers to the City of Culture team, let them know. But, fittingly for an area associated with the image of the Phoenix, Coventry and Warwickshire has risen in recent years and, viewed with the perspective of eight decades, appears to be performing well. Economically we are the home to a myriad of successful companies and certainly our advanced manufacturing and engineering firms – many involved in automotive – are leading the way. That has been fuelled by several factors. Clearly expanding markets have played a part, but I also know as a Jaguar owner of many years – that they have upped their game in terms of design, engineering and build quality and that Jaguar Land Rover is now a global brand. With Aston Martin, Geely, BMW and Horiba MIRA – and many of their supply chain – also in Coventry and Warwickshire, we are undoubtedly a global force in that sector. One continual problem has been Coventry city centre. Everyone recognises that we punch well below our economic weight when it comes to our retail and leisure offer. That has been the case for years and the gulf between our size and our retail performance has not narrowed. That means there is a great deal resting on several schemes which are, relatively speaking, still in their infancy. The City Centre South scheme, which the council recently awarded to Shearer Property Group, is massively significant as it represents a wholesale opportunity to transform a major part of the city centre. It is ambitious, but, it could be argued, we have lacked that in the past when it has come to the city centre. It was also heartening to see the West Midlands Combined Authority making such a significant award to ensure the scheme can happen. In an age where communication is vitally important, I also see the improvements to the railway station as key. I don’t believe anyone fully knows how HS2 will impact on Coventry and Warwickshire but we have to make sure we have the best transport infrastructure possible. That would mean one of two things – that we are best placed to take full advantage of HS2 but also that we are geared up to avoid being, in any way, shunted into the sidings. Our universities have really driven development in recent years, and research and development is one of our very strong areas so it essential that work continues through the alliance of academia and industry and through the creation and expansion of science parks. It will inevitably need future employment land allocation – and that has to be addressed, and quickly. In fact, one dark cloud over this optimism and opportunity is our shortage of development land. It is a major issue that will, if not resolved, throttle our potential. The CWLEP, Coventry and Warwickshire Chamber of Commerce and the local authorities are well aware of the problem, but awareness and a solution are two different things. The region has been brave in some of the decisions it has taken in recent years and, on this issue, it must be bold once again.